The Soviets appropriated Makhtumkuli and his successors, redefining them as “hero poets” living through revolutionary times, as if these Central Asian bards were proto-Bolsheviks fighting for the golden future. But the Soviets were also intent on creating new, modern cultures for the “backward” minorities in the USSR, which Stalin declared should be “national in form, socialist in content.” Thus crack squads of Russian writers were dispatched to Turkmenistan from Leningrad and Moscow in the early 1930s to train the locals in the literary arts. The Russians traveled throughout Turkmenistan, observing and writing everything their guides showed them while Turkmen apprentices studied their every move. The locals learned from the Russians genres and forms entirely new to their culture, ranging from short stories to novels to plays. The most successful of these students was Berdy Kerbabayev (1894-1974) who in his youth had received a traditional Islamic education at a Madrasah in Bukhara, making him one of the 2-3% of literate Turkmen living in the republic when it was established in 1924. Although Kerbabayev had originally served as a scribe for an Islamic “Basmachi” warlord, he switched his allegiance to the Bolsheviks in the early 1920s. In 1930 he began his novel The Decisive Step, an epic saga of Turkmen and Russians struggling to establish a brave new world in the desert, free of the obscure and reactionary customs of the past. Kerbabayev was arrested in the Stalinist purges of 1933, but survived. The first volume of The Decisive Step was published in 1940; the final two came out in 1947; he was awarded the USSR State Prize a year later. Kerbabayev became a mini-Sholokhov, a living monument, piling up the prizes, translating Pushkin and other Russian greats into Turkmen. His masterpiece was Nebit Dag (1957), a novel about oil workers. Neither Kerbabaev nor any of his contemporaries ever achieved anything like the international success of the Kyrgyz author Chingis Aitmatov, however. 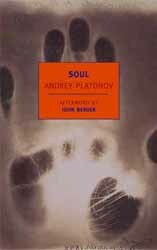 In fact, the best novel to emerge from Soviet Turkmenistan was not written by a Turkmen, but rather by Andrei Platonov, one of the Russians dispatched to train the locals how to write in the socialist style. In Platonov’s novella Dzhan (translated into English as Soul) Nazar Chagataev leaves Moscow for his home in Turkmenistan, where he resolves to lead his tribe to socialism. Guiding them through the desert like an atheist Moses, Chagataev endures extremes of hope and despair, bleakness and beauty as his family and friends suffer and die in excruciating pain around him. Robert Chandler, Platonov’s English translator, reports that contemporary Turkmen authors marvel at the Russian’s ability to capture the spirit of their homeland after so short a visit. Criminally neglected in the West, Dzhan is one of the great, secret masterpieces of the 20th century. Let us know what you think about the strange history of Turkmen literature in the comments below or on Twitter using hashtag #ppbonus.